CRM Series pressure regulators provide high flow and quick, positive shut off at the desired set pressure. 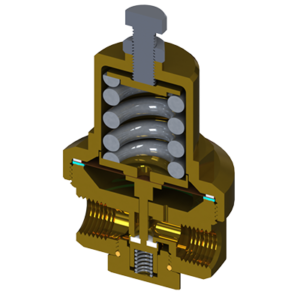 The regulator design is a non-balanced, spring reference, pressure reducing type regulator. They were designed especially for use as pressure build regulators for cryogenic liquid cylinders but can be used in many other applications. Solid, non-tied diaphragm provides leak-free and long-lasting performance. Optimized diaphragm and adjustment spring designs provide high flow performance. All CRM Series regulators are supplied factory pre-set and cleaned for oxygen service. 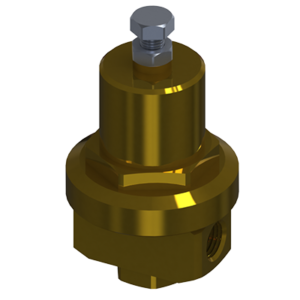 Optimized for High Flow: Optimized Spring and Diaphragm Design allows for high flow rates and low pressure drop. Quick Shut-Off: Regulators transition from the flowing condition to shut in a tight pressure band. Solid, Non-Tied, Diaphragm: Solid diaphragm eliminates potential leak path and increases sensitivity. Designed for Cryogenics: All materials were selected specifically for use in cryogenic environments. Cleaned for Oxygen Service: Regulators are cleaned for use in Oxygen service standard.